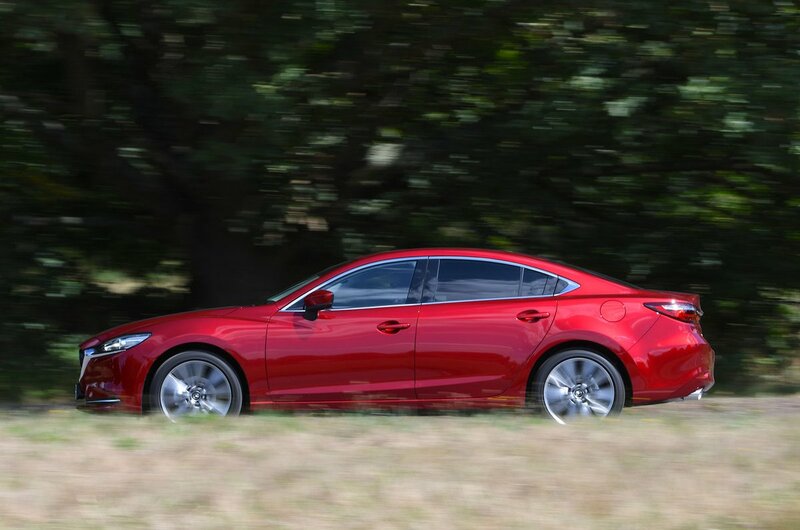 Mazda 6 Performance, Engine, Ride, Handling | What Car? Our favourite engine in the range is the 148bhp 2.2-litre diesel. It pulls strongly once you get it up to around 2000rpm, giving you plenty of oomph in the mid-range to make good progress in a relaxed fashion. It’s happy to rev freely and is smooth, too, barely hinting towards the usual clatter you associate with diesel engines. We've yet to sample the 181bhp version, but the previous 173bhp version was rather noisier than our favourite, and higher CO2 emissions mean it's not such an attractive company car choice. 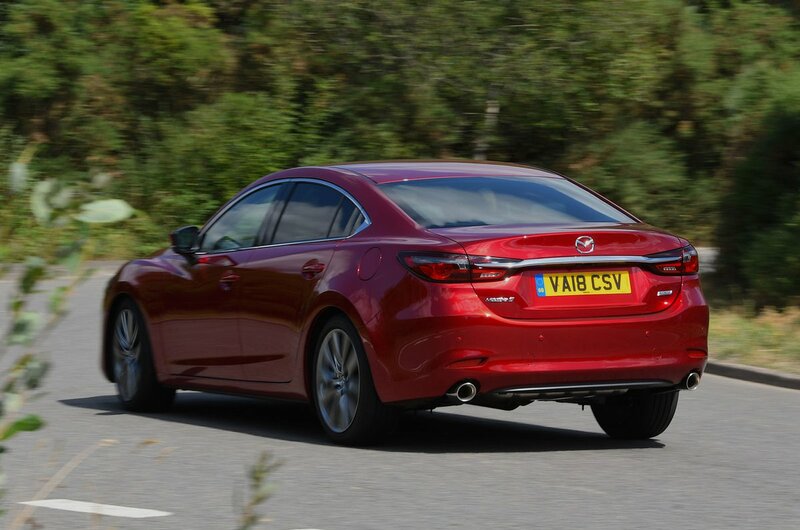 Factor in a higher list price, and we'd suggest sticking with the better-value 148bhp engine. The 2.0-litre petrol also comes in two states of tune – 143bhp and 163bhp – but, with less shove than the diesels, it needs to be worked harder to make progress. The 2.5-litre petrol has 191bhp but still doesn’t have the low-down pulling power of the diesels, so it can feel a bit gutless off the mark. It's rather boomy when you work it hard, too. If you want petrol power, we’d opt for one of the lower-powered versions, but would still be inclined to stick with diesel. 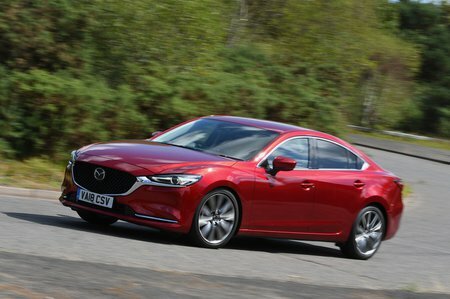 Every model – except the 2.5 petrol – comes with a slick six-speed manual gearbox as standard that’s great to use, thanks to a nicely weighted throw. There’s the option of a six-speed automatic on all but the 163bhp 2.0 petrol (and 2.5 petrol, where it's fitted as standard), but it isn’t particularly impressive, hanging onto gears for uncomfortably long and dawdling between shifts. It feels a bit old hat compared with rival gearboxes; we’d stick with the manual. Every 6 gets something called G-Vectoring Control (or GVC). It's designed to make cornering easier and more stable by easing the engine off very slightly on turning in to a bend. To be honest, you'd be hard-pushed to notice this system in operation. Ultimately, the 6 is a pleasant and fun car to drive, with light but predictable steering, but push it hard and the front wheels start to run wide in tight bends before rivals such as the Ford Mondeo and Skoda Superb. The ride can get a bit choppy over scraggy town roads, especially with the larger wheel options – something we’d recommend avoiding – but settles down at motorway speeds. This helps to make the 6 a decent cruiser with little road noise to disturb your peace, but you do have to put up with a flutter of wind noise from the door mirrors.